Pyroligneous acid, commonly known as wood vinegar, is created from wood and plant materials, using a process known as destructive distillation. The core ingredients of wood vinegar include acetone, methanol, and acetic acid, and was historically used to produce acetic acid on large scales. Currently, the scope of use of wood vinegar stretches across a large number of application segments. One of the more common uses of wood vinegar goes in animal feed. Wood vinegar is an excellent choice when it comes to organic farming, as an additive to animal feedstock as well as a pesticide and fertilizer. Several organizations are supporting the use of wood vinegar amid the growing trend of organic farming, thereby creating added demand. The industry for char generation is a supportive force behind the organic production of wood vinegar and the booming demand experienced by the former is expected to help the global wood vinegar market in general. Additionally, wood vinegar is a high density fluid that bears a positive perspective when it comes to transportation of large quantities, thereby falling perfectly into place within an existing agriculture infrastructure in most countries. Wood vinegar is also getting recommended more and more for human treatment against commonplace issues such as acid reflux, foul odors, and an overall promotion of good bowel and liver health. Some studies also point to the lowering of cholesterol levels through a regular consumption of wood vinegar. It is also a common remedy against external irritations and inflammations, such as those caused by contact with poison ivy. The global wood vinegar market is expected to grow at a robust pace between 2017 and 2025. While it has been around for many years now, the market has been able to gain significant pace in emerging nations across Asia Pacific as they show more dependence on the agriculture sector. Wood vinegar, also known as liquid smoke, is a byproduct of biochar or charcoal production. Obtained through carbonization it is a dark liquid and witnesses high demand due to its bactericidal effect, which in turn helps in root stimulation. 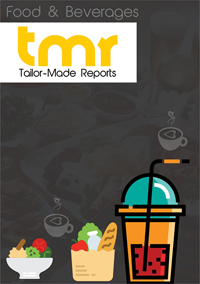 In this report, TMR Research aims at identifying the market drivers and restraints that could limit growth of the global wood vinegar market between 2017 and 2025. For the purpose of the study the report covers the market based on various segments, and provides in-depth analysis of the manufacturing cost and supply chain. A detailed assessment of the investment feasibility is aimed at providing existing and new players in-depth insights into the opportunities prevalent in the global wood vinegar market. For the purpose of the study, the global wood vinegar market is segmented based on various parameters such as animal feed, agriculture, medicinal, food, and consumer products. By application, the market can be segmented into animal feed, consumer products, medicinal, agriculture, and other industrial uses such as in waste water treatment, creosote and tar production, and in the production of acetic acid. Of these, the demand from the agriculture sector is expected to report a considerable rise over the course of the forecast period. In the agriculture sector, wood vinegar is used as fertilizer and pesticide and exhibits multifunctional benefits. It is also proven useful in controlling the impact of insects on crops and when mixed with manure wood vinegar helps reducing odor. Because it facilitates cell growth and acts as a catalyst for growth of various microbes and enzymes, wood vinegar has also proven beneficial in photosynthesis. The growing knowledge of the benefits it provide is expected to help the global wood vinegar market exhibit strong growth over the course of the forecast period. Regionally, Asia Pacific is expected to continue exhibiting lucrative opportunities for enterprises operating in the wood vinegar market. Besides expert opinions for the region to showcase the highest CAGR, enterprises are also expected to gain from the increasing demand for biofertilizers and biopesticides in Asia Pacific. Despite opportunities witnessed in the region, the low level of awareness about the correct application of wood vinegar will continue creating bottlenecks for the market in Asia Pacific. As per TMR, the market will continue witnessing robust opportunities in developed regions. As the leading economies in North America and Europe boast a high rate of technological developments, these regions will continue exhibiting lucrative opportunities for enterprises operating in the wood vinegar market. The report covers a detailed assessment of the prevailing vendor landscape in the market. To identify the strengths and weaknesses of the leading companies, it conducts SWOT analysis on them, which also provides insights into the threats and opportunities that these companies might witness over the course of the forecast period. Some of the most prominent companies operating in the global wood vinegar market are Canada Renewable Bioenergy Corp., ACE (Singapore) Pte Ltd, TAGROW CO., LTD. (China), Nettenergy BV (Netherlands), and Byron Biochar (Australia).